Parasitic life cycles involve one organism, a parasite, which exploits and benefits from another organism, the host. Generally, the host does not gain from this relationship and often suffers as a result. In many cases, the parasite changes the host physically or behaviorally; in extreme examples known as parasitoids the organism consumes, sterilizes or kills their host. Many parasites depend on human hosts to facilitate their life cycles – there are a huge number of organisms that exploit our bodies, some benign, some rather more unpleasant and harmful. Parasites exhibit a remarkable degree of specialization with life cycles that can involve multiple stages with a main ‘definitive’ host, and may also involve one or more secondary ‘intermediate’ hosts. Parasites have developed their lifestyles and evolved in tandem with their host species, resulting in life cycles that can be incredibly complex, fascinating, disturbing and often extremely bizarre. The same worm has been found in Egyptian mummies dating back thousands of years. Dracunculus medinensis, better known as the guinea worm, is a roundworm parasite that has been preying on humans throughout our history – Egyptian medical papyrus dating from 1550 BC mention the infection and specimens of the worm have been found within the bodies of calcified Egyptian mummies. Dracunculiasis, the Latin term for guinea worm disease, derives from the phrase ‘afflicted with little dragons’, describing the terrible burning sensation as the worm wriggles under a victim’s skin. Guinea worm is found in several countries in Africa and Asia and particularly afflicts those with no access to clean water – the parasite’s life cycle relies on a mammalian host drinking infected water. Guinea worm larvae live inside microscopic fleas in water; a human (or other mammal) drinks the unfiltered water and ingests the flea along with the parasites inside its body. Stomach acid dissolves the flea leaving the larvae free to borrow through the stomach lining into the host’s body cavities. The worms grow and reproduce, after which the male is absorbed by the body while the fertilized female continues to grow and moves into connective tissues in the host’s limbs. After approximately one year – by which time the female may have grown to two or three feet in length and as thick as a spaghetti noodle – a painful blister appears on the host’s skin, usually on a leg or foot, the blister bursts and the end of the worm appears. The victim feels a searing, burning pain which can only be relieved by dipping the blistered area into water – as soon as the worm’s exposed end touches water thousands of larvae are released. The larvae are eaten by microscopic fleas and the cycle starts once more. Filariasis is another parasitic disease caused by roundworms, in this case thread-like filarial worms, a family of parasites that is divided into three groups depending on which part of the human body they occupy. 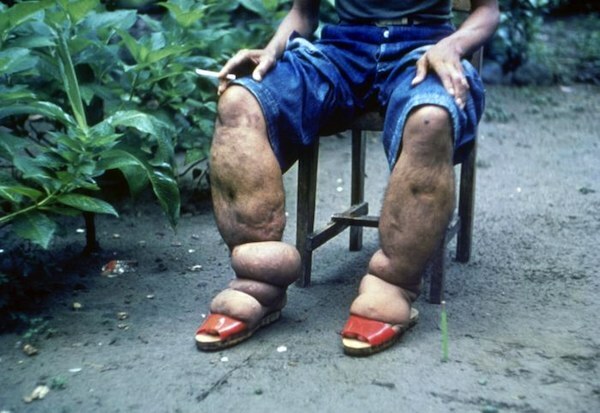 Lymphatic filariasis is caused by worms living in the host’s lymphatic system, and can lead to dramatic cases of elephantiasis, as we see in the above photograph. 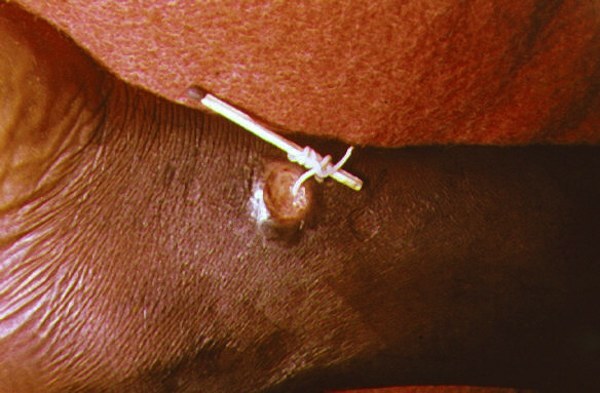 Subcutaneous filariasis is caused by worms living under the skin and similar tissues, including the worm that causes river blindness, one of the world’s main causes of infectious blindness in humans. Serous cavity filariasis is caused by worms that live in serous cavities in the abdomen. The lifecycle of filarial worms in humans is a complex process, but can roughly be divided into five stages. Adult worms living in the host’s body tissues mate, the female then releases thousands of live microfilariae, which make their way into the host’s lymph and blood systems. A black fly or mosquito takes a blood meal from the human host, ingests the microfilariae and becomes the intermediate host. The microfilariae move to the mosquito’s muscles, molt and become infective larvae. The infective larvae move to the mosquito’s head and proboscis and are injected into another human whilst the mosquito is taking another blood meal. The larvae penetrate the human host’s body tissues, mature into adult worms, reproduce and the life cycle continues. 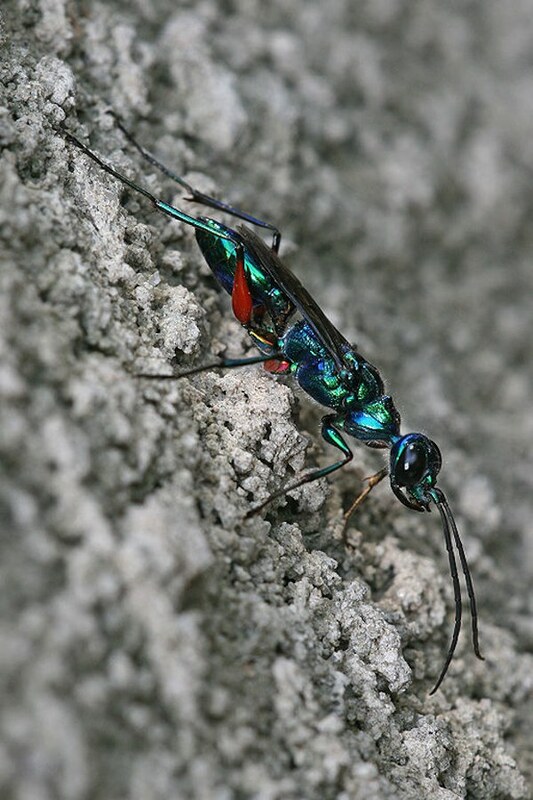 The beautiful metallic blue-green bodied emerald cockroach wasp is an example of entomophagous parasites, which are insects that are parasitic on other insects. The wasp, which is found in the tropics of Africa, South Asia and Oceania, is known for it’s strange parasitic reproductive process involving a cockroach host. When a pair of wasps have mated, the female finds a specific type of cockroach that she stings twice (the female possesses a stinging organ; the male does not). The first sting accurately injects venom in a specific site in the thorax, temporarily paralysing the cockroach’s front legs. The second sting precisely targets and disables a site in the cockroach’s brain which is responsible for the escape reflex. Lacking the instinct to escape, the cockroach is now at the mercy of the wasp, who trims the roach’s antennae and then leads it to the wasp’s burrow as if on a leash. Once there the wasp lays an egg on the cockroach’s abdomen and then buries the insect. Underground, a wasp larva hatches from the egg, eats its way into the cockroach’s body and starts to slowly devour the vital organs from the inside – the pacified cockroach hopefully stays alive long enough for the larva to grow and cocoon within the roach’s body. Finally, the larva completes its metamorphosis into an adult wasp, emerges from the roach’s remains and goes on to live, reproduce and repeat the process. Sacculina is another example of a bizarre parasitic life cycle from the animal kingdom, a type of parasitic barnacle that depends on crabs for its growth and reproductive processes. A female Sacculina larva finds a crab, sheds its hard outer layer and injects her soft inner body through a joint in the crab’s shell, entering the crustacean’s body and getting to work at her parasitic behaviour. The Sacculina larva grows inside the crab and develops a sac which hangs outside the crab’s body where the crab’s eggs would normally incubate. 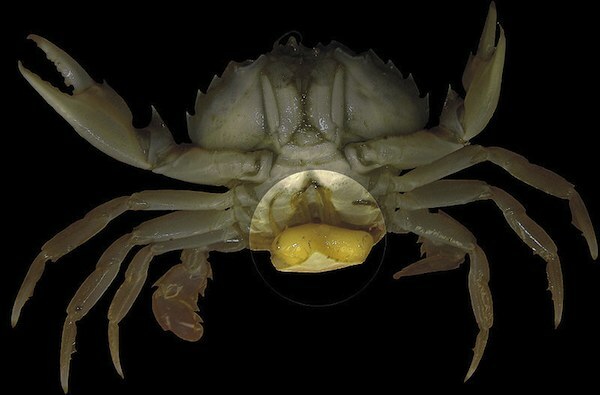 Sacculina renders the crab infertile – the parasite wants the energy that the crab would invest in reproduction to be conserved for its own growth and life cycle. Infected crabs are also prevented from moulting their shells and re-growing lost limbs, further conserving energy for the Sacculina. In male crabs the parasite makes some remarkable changes to the crab’s body and behaviour. Sacculina releases hormones that chemically castrate the male crab, change the crab’s body to resemble a female of the species and even make the crab execute female mating dances. Male Sacculina find an infected crab and fertilize the eggs in the female’s sac dangling from the crab’s thorax. During reproduction in healthy crabs, the female finds a high rock and releases fertilized eggs from its brooding sac. Parasitized crabs perform the same behaviour, but inadvertently release a cloud of Sacculina eggs. The crab nurtures the Sacculina eggs as if they were its own offspring, and once the larvae hatch from the eggs and are released into the sea the process begins once again. Leucochloridium paradoxum – the green-banded broodsac – is a type of parasitic flatworm whose life cycle involves birds as definitive hosts and snails as intermediate hosts. The adult parasites live in the digestive systems of birds, reproduce and release eggs that the bird leaves in its droppings. Snails eat the bird droppings and ingest the parasites, which form a sporocyst, or ‘broodsac’, which contains hundreds of larvae. The broodsac grows in one or both of the snail’s eye tentacles, usually preferring the left tentacle, and eventually causes the eye tentacle’s appearance to dramatically transform into that of a large, brightly-coloured, pulsating caterpillar. A bird spots this deliciously juicy ‘caterpillar’ meal, bites off the snail’s eye tentacle along with the broodsac and ingests its larval contents. The larvae develop into adults within the bird’s digestive system and the green-banded broodsac’s life cycle continues once more. Cymothoa exigua is a type of parasitic tongue-eating louse that lives in the gills and mouths of fish. Currently, biologists know little of the louse’s life cycle, although it is thought that the young of the species enter a fish’s head through its gills. Once inside they reproduce; following this the males remain living in the gills while the female makes her way to the fish’s mouth. If there are two males and no females, one of the male lice transforms into a female and moves to the mouth. 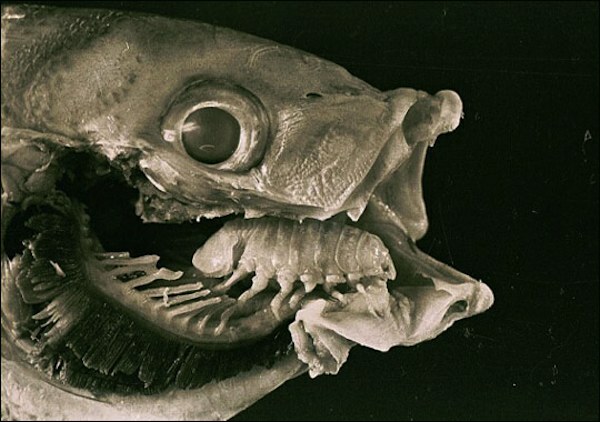 Inside the mouth, the louse attaches herself to the fish’s tongue by its front claws and begins drinking blood, causing the tongue to shrivel away. The louse then latches herself to the tongue stub and sits in its place, replacing the organ. The louse lives by parasitically feeding on the fish’s blood or its mouth mucus, while the host fish appears to live a normal life and can use the louse as it would its own tongue. 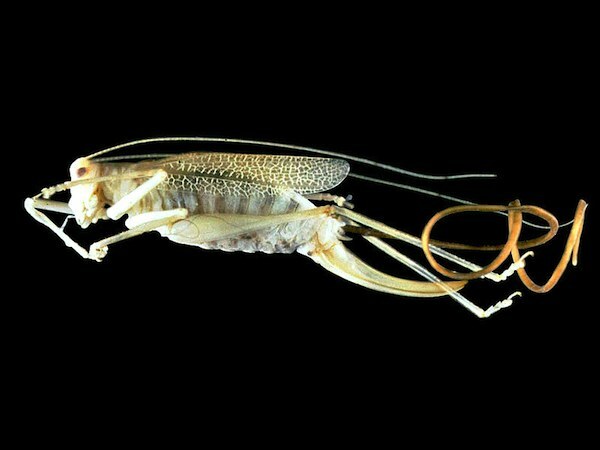 Spinochordodes tellinii is a type of parasitic horsehair worm that uses grasshoppers and crickets in its life cycle and is able to alter its host’s behaviour. The adult worms live and reproduce in water, generating microscopic larvae. Crickets and grasshoppers ingest the larvae when drinking, the larvae then develop into worms within the insects’ bodies. The worms can grow to be as much as four times longer than their host’s body. Once the parasitic worm has reached maturity it is able to influence the host’s behaviour to complete its life cycle. The exact mechanism that the worm uses to influence the host is currently unknown, but the implications can be catastrophic for the cricket or grasshopper. The insect is compelled to find a body of water and throw itself in; once submerged the parasite exits its host’s body, while the host usually drowns. The worm goes on to live its adult life in the water, reproduce, release larvae and continue its parasitic life cycle. Ophiocordyceps unilateralis is a parasitoidal fungus found in the tropical forests of Africa, Brazil and Thailand. The fungus uses ants in its life cycle, specifically the Camponotus leonardi ant, although it has been known to parasitize similar ant species. The fungus releases spores that enter the ant’s body through the cuticle and once inside begin eating away at non-vital tissue. This means that the ant stays alive while the parasite receives nourishment to grow. The fungus spreads through the ant’s body and, in its yeast stage, uses an unknown mechanism to change the insect’s brain function and behaviour, taking over its body and creating a so-called ‘zombie’ ant. 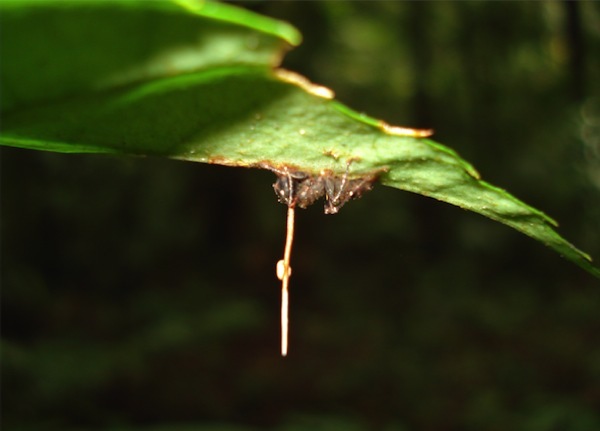 The zombie ant climbs up a plant and uses it mandibles to secure itself to a leaf vein, usually about 25 cm off the ground, north-facing and in a temperature range of 20 to 30 degrees centigrade. In these ideal conditions the fungus continues to grow and kills the ant, eventually producing a mushroom that erupts from the back of the ant’s head, releasing spores sometime between four to 10 days after appearing. Some of the spores settle on the bodies of other ants in the forest, pass through the cuticle and continue the parasitic process. Interestingly, parasitized zombie ants leave a characteristic bite mark in leaves when infected by the fungus – scientists have studied the fossil record and found evidence of these bite marks on leaf specimens that are 48 million years old. Dicrocoelium dendriticum, commonly called the Lancet liver fluke, is a parasitic fluke that displays one of the most complex parasitic life cycles currently known. The Lancet liver fluke lives mainly in cows and sheep, but is also found in other herbivorous mammals and, in rare cases, has been known to infect humans. Adult Lancet liver flukes spend their adult lives in the livers of ruminants such as cows and sheep. 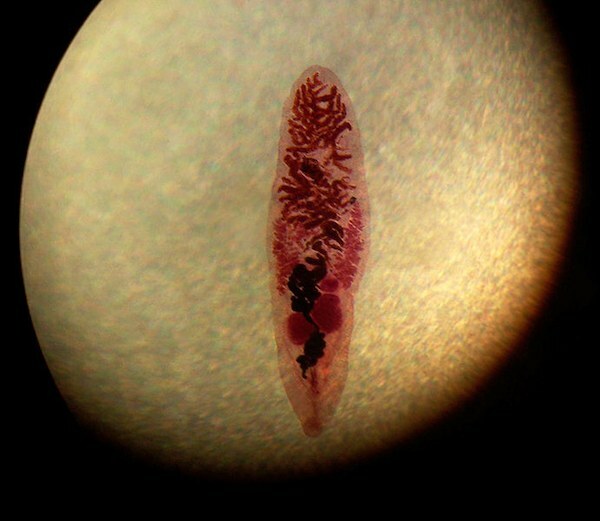 When Lancet liver fluke reproduce their eggs are released in the host’s faeces. The first intermediate host is a land snail, which eats the animal faeces containing the parasite’s eggs. It is only when a specific type of snail ingests the eggs that they hatch larvae. The larvae then make their way into the snail’s body tissues. 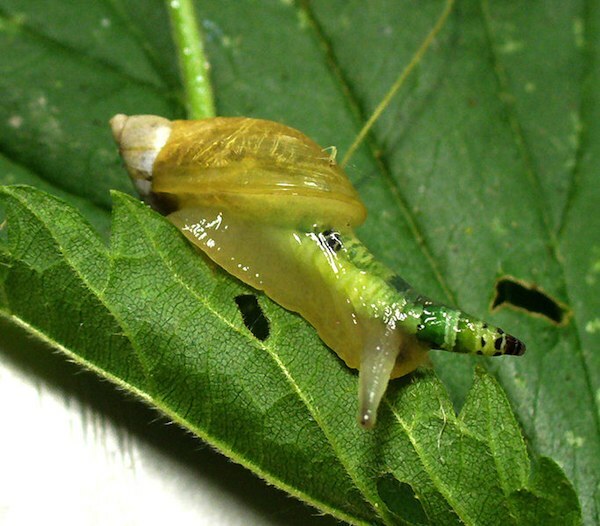 The larval parasite irritates the host snail, which walls the growing parasites off in a mucus cyst, eventually coughing up a slime ball containing the larvae. Next, an ant, the second intermediate host, eats the slime ball and ingests the hundreds of larval flukes contained in the cyst. The larvae distribute through the ant’s body – one larva attaches itself to a bunch of nerves and begins influencing the ant’s behaviour in a remarkable fashion. In the evening, as the temperature drops and the rest of the ant colony retreats underground, an individual zombie ant infected by the larvae walks off on its own, climbs a blade of grass and firmly attaches itself to the grass tip with its mandibles. It remains there until the sun rises at dawn, when the zombie ant returns to the colony and resumes its normal daytime activities with the other ants. The following evening the infected ant again climbs and attaches itself to a grass tip, and continues to do so night after night until it is eaten by a grass-eating animal such as a cow or sheep. The ant and the many larval flukes it contains are ingested by the mammal, the larvae burrow into the animals stomach wall, make their way to the animal’s liver, develop into adult Lancet liver flukes, reproduce and continue this astonishing parasitic life cycle. 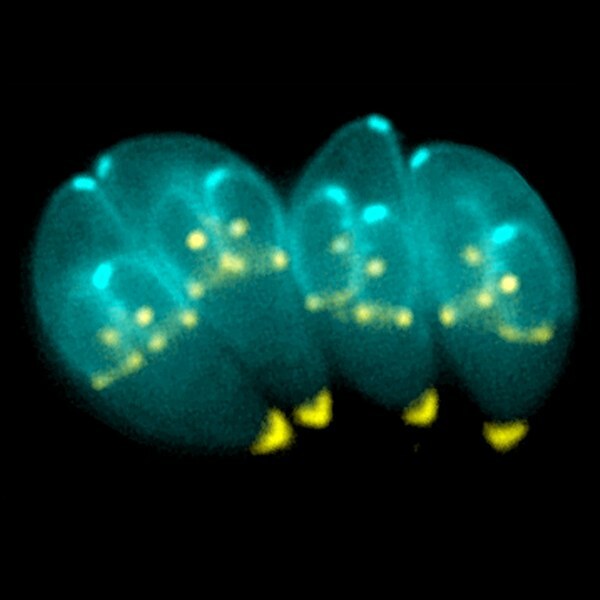 Finally, Toxoplasma gondii is a type of parasitic protozoa that infects cats, which are its definitive hosts, but is also carried by other warm-blooded animals, mainly rodents and ruminants, but is also notably present in humans – it is thought that between one-third and half of all people alive today carry the parasite. T. gondii lives in cats, sexually reproducing in the host animal’s tissues, but can also reproduce asexually in intermediate hosts in the second phase of its lifecycle. Host animals can be infected with T. gondii by either coming into contact with soil containing cat faeces, such as eating unwashed vegetables, or by eating uncooked meat containing the parasite. T. gondii enters the host’s cells and form cysts in body tissues, which transmit the parasite if the host animal is eaten. Eating animals such as sheep, cows and pigs is thought to be a source of infection for humans, as is close contact with cat excrement. A fascinating aspect of the T. gondii lifecycle is its ability to influence the behaviour of host animals. Healthy, uninfected rodents are naturally frightened by the scent of cat urine, meaning they avoid places inhabited by cats and reduce the risk of being eaten. Rodents infected with the T. gondii parasite, however, lose this fear of cat urine, and may even be attracted to the scent, resulting in much greater chances of being eaten by a cat. This behavioural change makes it much easier for cats to catch infected rodents, and benefits T. gondii by making it more likely that the parasite is transmitted to its definitive host, the cat. With so many humans infected with T. gondii, there could be important implications for our species. Most people infected with the parasite may experience a brief period of mild flu-like symptoms followed by no apparent further ill-effects. In certain cases however, such as during pregnancy or in people with poor immune systems, the symptoms can be much more serious, or even fatal. The parasite’s ability to alter behaviour may have profound effects on human hosts, influences scientists are only beginning to understand. T. gondii has been linked to schizophrenia, suicidal behaviour and more subtle personality changes. The parasite also reduces reaction time, and has been implicated in road accidents – Czech professor of biology Jaroslav Flegr has suggested that globally the infection could be the cause of at least one million traffic accidents per year. Parasites such as T. gondii demonstrate the complexity, importance for humans and the often downright weirdness of parasitic life cycles. With so many people infected with the parasite, and the potential for it to alter our behaviour, it could be speculated that parasites could actually influence human culture, along with our evolution. Parasites are fascinating organisms that seem to exist in every place where life thrives and have developed ways of interacting and exploiting other species that are complex, sometimes unpleasant, and often simply bewildering when you consider how these relationships may have evolved over time. If your ultimate career goal is to become a certified nurse, then the first step you will want to take is to find the right institution of higher education in which to obtain the necessary degree. There are a variety of nursing degrees out there, whether you are looking for an Associates, Bachelor’s, Master’s, or PhD. These days, however, prospective nurses have a choice to make between obtaining their degree from a traditional college and pursuing their degree in a largely online setting. In order to decide the best option for you, it is a good idea to consider the advantages and disadvantages of both options. These are traditional degrees such as Bachelor’s, Master’s, or PhDs that are earned from an accredited institution such as a college or university. Obtaining a degree in this case involves physically attending scheduled classes on campus with a number of other student and faculty members. Perhaps the most obvious advantage to this particular type of degree program is the ability to collaborate with other students within the program and to have easy access to faculty such as advisors, instructors, and professors. Various educational studies over the years have shown the importance of collaboration in understanding concepts and mastering information. This is particularly valuable when it comes to a nursing program, which involves complete understanding, mastery, and memorization of various medical concepts and procedures. On a physical campus, this collaboration may come in the form of study groups outside of class or even something as simple as a stimulating class discussion that leaves students feeling personally invested in the subject material. In addition, attending classes on a physical campus gives students access to their professors during scheduled office hours. And with nursing being a notoriously difficult program to get through, being able to meet with a professor is extremely valuable to one’s education and overall success in the program, career, and beyond. For example, nursing students having difficulty with specific concepts discussed in class have the ability to visit the professor during his or her office hours for further clarification and better understanding of the concept at hand. This not only leads to better test scores, but can help a nurse later on down the road when he or she is practicing in the field. In addition the the benefit of collaboration in an on-campus environment, it is also beneficial in the sense that an on-campus nursing class typically offers more real-world and hands on experience than an online class might. For example, many nursing classes on campus allow students to carry out some of the very nursing procedures that they would typically need to perform on a regular basis when practicing as a nurse. This can include anything from taking one’s blood pressure or listening to a heartbeat for irregularities to administering CPR or drawing blood. Often times, students themselves get the opportunity to act as both the patient and take on the role of the nurse, allowing them to experience the procedures from both perspectives. This can be extremely valuable in the workplace upon graduation from the program. Of course, this is not to say that online programs do not offer hands on experience. However, attending a scheduled class on a physical campus, especially classes with labs, tend to offer more of this valuable experience to students. Of course, this nursing degree programs have their disadvantages, as well. Often times, taking classes on-campus can make for a difficult time when it comes to scheduling classes that work within one’s schedule, often making it hard for students to graduate from the program on time. This is true of essentially all on-campus degree programs, but is perhaps specifically true for nursing students, as many of these classes have not only a lecture portion, but a separate lab portion that may be held at an inconvenient time of day. This makes it difficult for students with other obligations, such as a job or family to take care of, to take the classes that they need to complete the program in a timely manner. These nursing programs take place in a partial online setting as opposed to on a physical campus at a set date and time each week. Perhaps the biggest advantage of an online nursing degree program is that it tends to be very flexible in terms of course scheduling. Since the lecture portions of these classes do not necessarily meet on set dates and times of the week, students are better able to take the classes they want without having to worry about scheduling conflicts. Therefore, online degree programs are often popular among people attempting to obtain their nursing degree while also working full time to support themselves or raise a family. Another benefit of an online nursing program is that students are not as restricted in terms of the specific school they end up enrolling in based on their location alone. For example, a student living in California could potentially enroll in a nursing degree program for a school located across the country in New York. In this sense, a student can do their research and enroll in a school with a reputable online nursing degree without having to physically move to the area near that school. Of course, in order to gain the necessary and valuable hands-on experience and training with such a school, it may be necessary to take a lab or other courses at a physical campus locally. Still, these online programs offer much greater flexibility than a strictly on-campus one. One of the biggest disadvantages of online nursing degrees is the simple issue of accreditation and reputability. Nursing students need to be especially careful in choosing an online degree program, as there are many online schools out there that have not yet been accredited. Therefore, if one enrolls in a school that is not a nationally accredited institution, the degree itself will likely not be able to help one land a job in the field. For this reason, students considering an online nursing degree program must do careful research to ensure that the school they are looking into is not only accredited by the Commission on Collegiate Nursing, but are reputable as well. In addition, online nursing programs typically do not offer as much hands on experience as an on-campus degree does. This can be a drawback when it comes to trying to find a job in the field, as many prospective employers will expect all nurses that they hire to have real-world experience. For this reason, students considering an online nursing degree program should also attempt to find internships and other means of obtaining real-world experience as a nurse. Some online schools will even help their students find internships or opportunities for this. Overall, on-campus and online nursing degrees both have their share of pros and cons. Which option is best for any given student is a very personal decision and requires one to take their own unique situation into careful consideration. At the end of the day, all of the hard work can easily be worth it when an accredited degree in nursing is obtained and one can begin practicing their passion in a hospital setting or doctor’s office. Nursing is a popular field of study and, like most occupations in the medical field, nursing can be a well-paid position. There are many different nursing specialties and each pays a bit differently. There always seems to be a shortage of nurses, and it is estimated that by 2016, there will be a need for over a million nurses in the United States alone. As with any job, there is a wide variety of variables that can affect an employee’s final salary. Typically, the more skilled the employee is in a certain field, the more money they can command and nursing is generally no exception to this rule. The state in which you are registered or certified as a nurse has a huge impact on just how much you make in the field. Nurses in California, for example, tend to be paid the most while nurses working in South Carolina tend to have the lowest hourly pay rate. Generally speaking, nurses get paid more if they work on the West Coast or in Hawaii than if they are employed on the East Coast. There are, of course, exceptions to this rule but in general nursing professionals along the East Coast, especially in the south, see lower salaries than their West Coast counterparts. 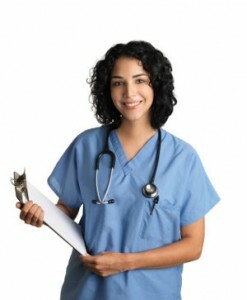 Additionally, there are ways to boost your income even once you become a nurse. Continue to get an education and obtain more certifications. Doing so will increase your worth as a nurse and can definitely lead to higher pay rates. And, of course, the more experience you have, the higher the pay rate you will be able to command. Additional income streams can be found for those that are certified as nurses beyond simply working in a clinical setting. Speaking engagements at industry specific conferences are one way an experienced nurse can bring in some additional money. There are also many medical journals and magazines for which articles can be written and publication can lead to a good amount of money. Many of these side jobs can also lead to a possible raise in one’s main nursing job as well. Remember, though, that an education doesn’t come cheaply and many nursing students take out student loans to help pay for their schooling. It can take some time to pay these off after nursing school, generally it takes about five years to pay off these loans, but that can vary depending on how much your payments are and whether or not you pay just the minimum each month. Being a nurse is not for everyone, with the often long and strange hours and stressful duties. Those that find that they enjoy nursing, however, often have a great degree of personal satisfaction; not only are they making great money but they are also helping out others by assisting physicians and other medical practitioners and that sense of pride is something that no price tag can be put on. Responsible for planning and implementing nursing policies and procedures for long term care facilities, long term care nurse managers actually come in on the low end of the nursing pay scale with only nurse recruiters making less. The median national salary of a long term care nurse manager is close to $68,000* a year. Overall, nurse practitioners are paid more than almost any other type of nurse, with the exception of certified nurse anesthetists. Of the various types of nurse practitioners, neonatal nurse practitioners are the best paid and a nursing home nurse practitioner has the lowest median annual salary. On average, general practice nurse practitioners make an annual salary of about $91,000*. Emergency room nurse practitioners make a bit more, coming in at close to $95,000* per year. Neonatal nurse practitioners bring in close to $103,000*. Nursing home nurse practitioners pull down around $73,000* a year. Specialty care nurse practitioners make around $95,000* a year. Nurse recruiters, those people who recruit newly-graduated or licensed nurses for various nursing positions make, on average, around $66,000* per year. This is on the lower end of the overall nursing salary range. Before, during and after a surgical procedure, certified nurse anesthetists perform essential duties to help physicians, including keeping an eye on the patient’s condition as well as administering the anesthesia properly. Certified nurse anesthetists definitely hit the jackpot, making close to $158,000* annually though the job has strict requirements, including at least 2 years of experience in am acute care nursing setting. Assistants to midwives, Certified nurse midwives help during the process of childbirth as well as with postpartum care. Certified nurse midwives make an average of around $93,000* per year. Responsible for directing, planning and evaluating overall nursing care for a unit, charge nurses make around $72,000* a year. This position requires a lot of nursing experience and knowledge of all appropriate procedures and practices for the environment in which the charge nurse works. While all nurses make at least a decent amount of money, there are definitely differences in the amount a nurse gets paid depending on what their particular duties are. Remember that the numbers above are only averages; pay can (and often is) higher or lower depending on the exact situation. A successful career in any field is not only based on the skill level of the professional but also on the quality of the resources the professional has at the tip of her fingers. This is as true for nursing as for any other field. Future professionals can benefit from becoming familiar with the online resources available. Following is a list of 10 links nursing students should be familiar with and visit often. The goal of this association is to provide mentoring and guidance to future registered nurses who are beginning their careers. Their site provides information about meetings, scholarships and other opportunities valuable to student nurses. There are links to program activities as well as a back-to-school guide for student nurses. Student nurses in all programs can acquire membership online to be able to enjoy the benefits offered by the association. This is another great resource that nursing students should be familiar with. This site provides information on licensing and certification as well as any current concerns of the different state boards of nursing. Students can keep informed about all the issues important to nurses today including ethics, policy, advocacy, privacy and credentialing by visiting the site and becoming involved with the organization. Additionally, the page includes a nursing job board, ANA Nurse’s Career Center, where visitors can post their resume and look for available jobs. This site provides information on current research as well as training and job opportunities available. Visitors can also learn about funding opportunities for new research and application requirements. An important resource for student nurses to keep up to date with information on many diseases, prevention and other information. The page has links to publications, health tools and factsheets on many current popular topics. It also has links and information for training and other educational opportunities available through the CDC. This page offers visitors interactive health tutorials to learn about the symptoms, diagnosis and treatment for many diseases and conditions. Designed for ease of use, the tutorials have simple language, graphics and even audio. This job board provides jobs posts in three categories: travel nursing jobs, per diem nursing jobs and permanent placement nursing jobs. The job posts are listed for all 50 states as well as Washington, D.C. Nurses can post their resume as part of the application and the service matches their resume with available jobs. Once the matches are made, a nurse recruiter contacts the applicant to continue the process. 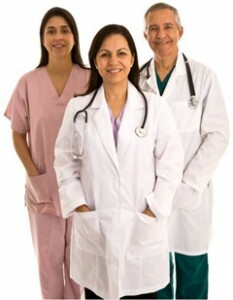 This site is the place to go to research nursing job by location. It includes information such as average salaries in the different states and for the different specialties as well as general job outlook information, nurses’ responsibilities, training and education information and work environment. This page offers nurses worldwide free access to a wealth of articles and studies about nursing research and evidence-based information. Nurses can register for free to access all abstracts and many selected full texts. They can also post dissertations and studies following the guidelines and requirements of the library. This is the page of the only international honor society in nursing, with members in over 90 countries. The goal of the society is to create a global community of nurses and to provide leadership, training and development opportunities to nurses worldwide. Visitors to the page will find information on events, projects, educational opportunities and publications as well as an area specially designed for nursing students. Soon, the site will also have a job board for members only. There are many other online resources that student nurses can visit. The National Network of Libraries of Medicine’s page, Nursing on the Net: Health Care Resources You Can Use , is a giant resource center with links to resources in all areas that nursing professionals can use. From associations and other educational links to health news and government agencies, this resource is quite complete and updated. Getting into a Bachelor’s Degree program for nursing (BSN) can be highly competitive, but for motivated students it is always achievable. Typically, before a student can be enrolled in a BSN degree, the student must first obtain a license to practice as a basic RN. Acquiring an RN degree should take no more than two years, though many people can get it in only three semesters online. After passing the RN courses from an accredited school, students must then take the NCLEX, or National Council Licensure Examination, in order to gain their right to practice nursing in the U.S. This test is difficult, but a high score will give students who are interested in higher degrees a supreme advantage. Other than having an RN degree and certification, prerequisites and qualifications for a BSN vary, depending on the school. College GPA of applying students should be at least a 2.5, but some schools require higher GPAs like 3.0. The strongest candidates will have GPAs above a 3.2. Letters of recommendation may be needed from previous instructors. Some schools may require applicants to write an essay related to the nursing occupation, or career choice, as part of the application process. They will use these tools to isolate the strongest matches for their particular academic program. Nursing is more than just academics, though, and colleges and universities understand this. Schools will be interested in your extracurricular activities during your early years of college. These experiences outside the classroom help enrich the student’s education, and will set apart certain applicants. Nurses are in high demand so schools are accepting higher number of students than ever before, but no one is guaranteed admittance. To be a competitive applicant, interested students should be well-rounded and actively involved within their community. Many colleges and universities actually offer the BSN option entirely online, so you don’t have to worry about rushing through a busy campus or finding parking in an overcrowded parking lot. Online programs offer fantastic incentives for interested nursing students. Some programs have an RN to BSN, in which part of your RN credits can be applied toward your B.S. degree. This helps limit the amount of time students are in school, and thus it detours some of the school related costs and tuition. These programs also simplify the transition from the RN degree to the BSN degree, and makes it less competitive for the student who decides on the BSN early in the student career. Those students who are successful in undergraduate nursing programs, and who want to obtain higher degrees, can continue their education at the graduate level. Many schools offer a Masters of Sciences degree in nursing (MSN). Again, there are extensive options for MSN programs including degrees that can be attained exclusively online. The graduate programs in nursing are highly coveted positions, as many of the higher salary nursing jobs require degrees at or above the Masters level. So nurse anesthetists and nurse practitioners must acquire their MSN before completing their own specialized programs of study. The same type of criteria exist for the Master’s program as for the BSN program, although admission may be more of a challenge as there are fewer positions available for Master students. Schools require applicants to have a license to practice nursing and GPA requirements may vary, although many schools set the standard of at least 3.0. To be a stronger candidate, an applicant would want a GPA of a 3.4 or higher. Additionally, most schools require all potential graduate students to take a GRE, or Graduate Record Exam. They use this to determine which MSN candidates would perform best in their program. Letters of recommendation from university faculty members may be necessary and, as also required in the BSN degree, an essay may be required during the application process. Those who have an M.S. in nursing have the opportunity to expand their career into a sub-specialty with an advanced degree. Careers that require these advanced or specialized degrees include nurse anesthetists, nurse practitioners, nurse educators, nurse researchers, and clinical nurse specialists. These sub-specialties pay top-dollar and are therefore the most competitive nursing degrees; admission to an advance nursing degree is reserved only for the strongest students. PhD nursing programs, or advance specialized programs, require the greatest demonstration of academic excellence. Minimal GPA scores to apply are typically around 3.3, but strong candidates should have a 3.5 or higher. Letters of recommendation from previous instructors and essays may be required. Advanced degrees like the PhD in nursing go beyond stereotypical class work; this level of education is designed to elicit students to advance the knowledge of the nursing field and to explore advanced, prevailing theories in clinical research. Emphasis at this level is not on memorizing facts or writing term papers, but the discovery of new facts by scientific methodology and research. Therefore, depending on the school and the type of nursing program, board committees may expect to see participation in clinical research, publications, and a minimal field experience. For example, most nurse anesthetist programs require an RN, a BSN, and then two years of nursing experience in an Intensive Care Unit (ICU). Costs for such degrees are tremendous, so before attending expensive schools it is good to examine your financial status. While scholarships and grants are available for students, be aware and be prepared to borrow a mass amount of student loans when working toward a PhD in nursing or advanced degree in nursing. Researching the program and school is much more important at the PhD/advanced level of nursing because these programs can be highly specific and catered toward specific sub-specialties. When making school decisions it is important to already know your career goals and see how a school can help you meet your goals before you submit an application. The odds are the more a school is right for you, the more that school will want you there. Fortunately, there are also online options for advanced nursing degrees and programs. Some of these schools have higher tuitions, but may save you money in the long run; the cost of living on campus is overwhelming. These online programs may also offer more incentives, like easier transitions from the BSN to the PhD. The prerequisites for these schools and programs should be about the same as for a traditional program.